Sometimes it can be hard to find links to pages listing links to stuff about Oracle APEX, so here is a list of the lists of links and shortcuts to useful Oracle APEX stuff! As new lists of links are published I’ll add them here. 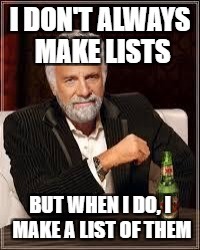 Because you can never have enough lists of links!